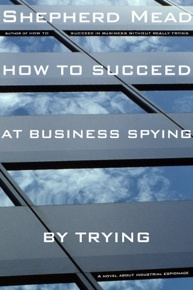 Spy, counterspy, Casanova, and technological Machiavelli, Mark Price is an agent for big business's latest headache, Industrial Espionage. His exploits as he goes about exposing a monstrous conspiracy against the industrial heart of America are at once wild, hilarious, and deadly serious. Along the way he tangles with an assortment of zany characters, including a trio of engagingly odd and highly sexed charmers and a patriarchal embodiment of the American Dream, before his ingenious sleuthing culminates in a shattering climax in the best comic tradition of the Marx brothers.